Time for another installment of Cupcakes and Coasters meets! 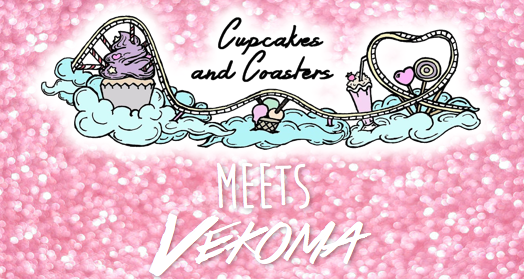 This time I caught up with the awesome Vekoma about the old, the new and everything else inbetween! Thank you so much for taking the time to answer my questions. I’ve always loved Vekoma, and am very excited to see you guys making a name for yourselves again with some of the incredible new designs we’ve been seeing. This seems like a bit of a change in direction from what we usually see from Vekoma, is this the case and if so why? We can imagine that you see this as a change in direction, especially with the newly disclosed designs and recent openings like the Space Warp Launch Coaster (Formula 1), the Bermuda Blitz (Lech Coaster) and the upcoming Firestorm Launch Coasters in Vietnam and China. Of course we are extremely proud of these accomplishments. Over the last years we have invested in the development of both new design and production methods with a terrific result. Vekoma has a team of very creative and knowledgeable concept design engineers in-house who continuously work on new designs. While Vekoma continues to design many more custom designed coasters we cannot always disclose or market those, but we can certainly state that these new designs are conquering the market! There’s lot of buzz currently around the incredible looking Lech Coaster that seemed to just appear out of nowhere! 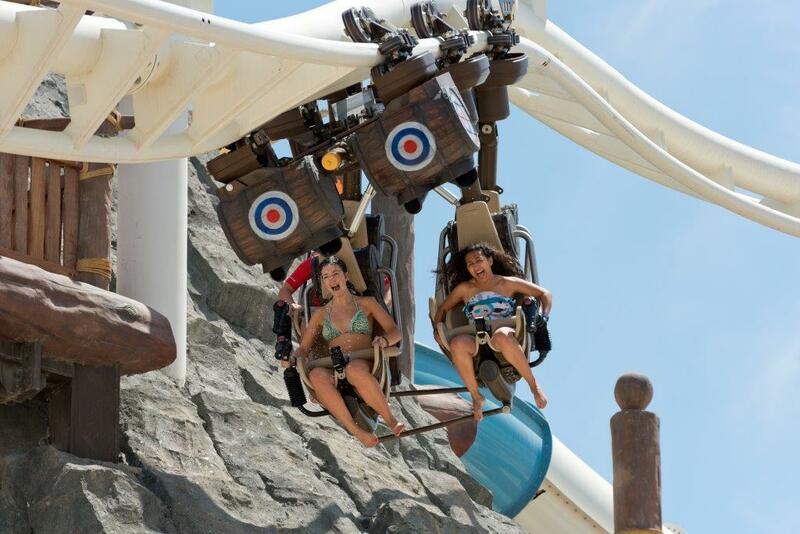 Can you tell us how this ride came into existence? The coaster was a new Vekoma design named Bermuda Blitz, designed in 2016. Quite a number of customers were immediately impressed and excited by this magnificent layout and ride experience and it did therefore not long for Vekoma to actually sell this. With technology changing rapidly, there is a danger that coasters may become old hat in the theme park industry in the future. How does Vekoma aim to keep parks investing in their products? 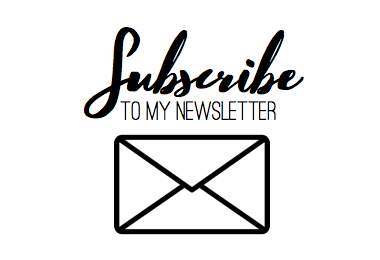 Although I think that coasters never become “old” you certainly need to make sure that there will be excitement and new elements or sequences of elements in your design. We think about this in every new design. People will continue to go to theme parks and families enjoy time together at a park for a fun-filled day. Parks also look for more and more diversity in their park, a mix of coasters, interactive rides, dark rides and media-based attractions. When the Family Boomerang debuted in 2011, Vekoma brought repacked the high octane thrills of the traditional Vekoma Boomerang down to a size enjoyable for the whole family! Can we expect to see any other traditional Vekoma designs repurposed for the family market? The Boomerang conversion to the Family Boomerang (Rebound) was something that was rather recent but in the past we used for example the Boomerang also as a basis to change this into an inverted thrill coaster, the Giant Inverted Boomerang. In designing new coasters, you need to always keep in mind the public visiting the parks. We have a really wide variety of family and thrill coasters, suspended or sit down, non-coaster attractions such as the Sky Shuttle, the Madhouse and media based attractions, the latter we offer together with our partner Brogent Technologies. The I-ride for example is a panoramic flying attraction which is really becoming a best-seller with very successful installations in Taiwan, China, Canada, Japan, USA with new projects coming up in the Netherlands, Germany and Spain, all opening in 2017. What would you say is the key essence of a Vekoma coaster? Quality, safety and new innovative smooth designs! Custom Designs are our strength because we have all disciplines in house from Concept Engineering, to Engineering, Production, Supervision & Service. Immediate and fast communication between these divisions are absolutely an advantage. Videos were recently circling the internet of a Vekoma hyper coaster cited for Energylandia in Poland. Although this coaster will now not be built at this park, are there any plans for it to go to another park any time soon or is this just another design for the portfolio? This is one of the many new designs that we present to our customers and time will tell when the first will be seen in the parks. Our family coasters are definitely very successful, varying from the Family Coaster, Family Boomerang, Suspended Family Coaster to our Mine Train have been and still are best selling products. The new Thrill Coasters recently launched are however so successful and well received that these are already sold to various parks world-wide and many prospective buyers have already announced to follow. In the early noughties, Vekoma created three wooden coasters in Europe. Can we ever expect to see any new wooden coasters from Vekoma and if not, is there a reason why? Vekoma does not intent to design new wood coasters as we have a partnership with RMC (Rocky Mountain Construction) offering new Topper- and IBOX tracks combining a wood structure with a steel track. This combination considerably improved the experience, smoothness and intensity of the ride, enabling for new features in your wood coaster and smoothing out the ride. 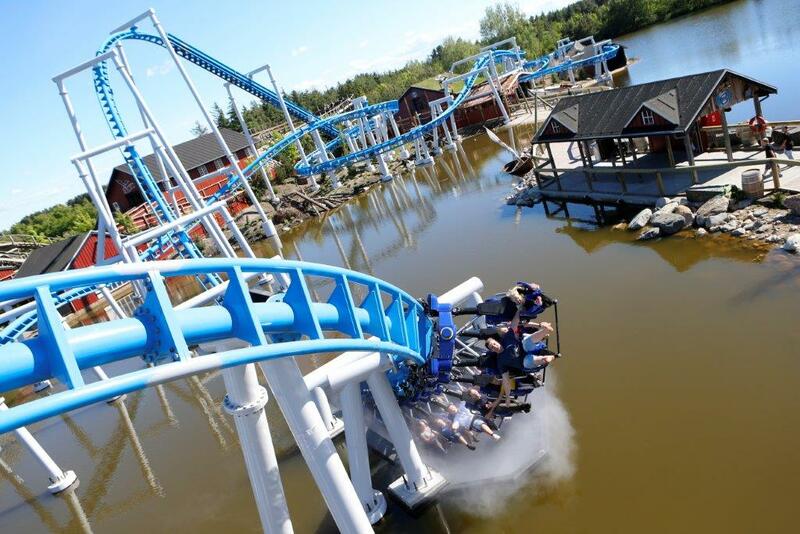 One of those projects in partnership between Vekoma and RMC was the magnificent Wildfire at Kolmarden, Sweden. 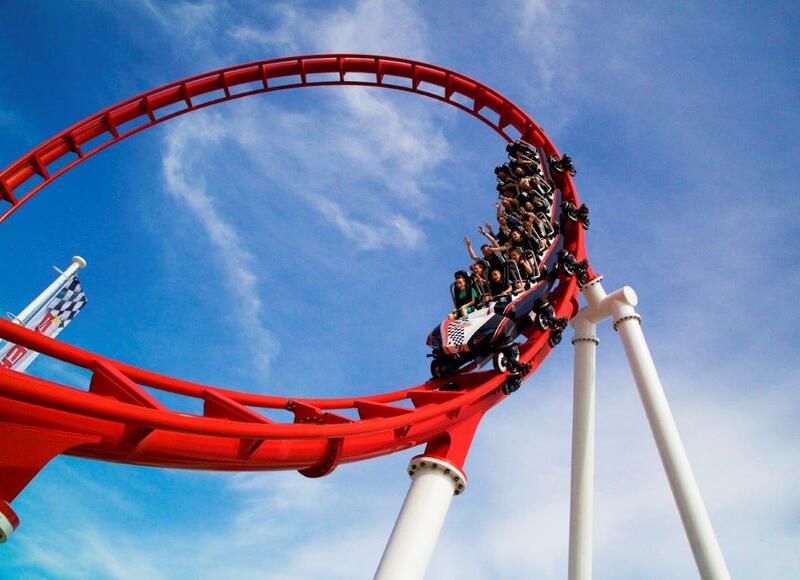 What changes and trends have you seen in the rollercoaster industry over the years? It is amazing to see what is going on in the amusement industry. New parks are developing world-wide and existing parks keep expanding. Not only with coasters but also with media based attractions. We are extremely proud of having a partner Brogent, with whom we are very successful with the Panoramic Flying Attraction, I-Ride. This year 3 new i-Rides will be opened in Germany, Spain and the Netherlands. What can we expect to see from future Vekoma projects? We hope to surprise our fans with new designs to come! I'd like to thank Vekoma for taking the time to chat to me for this interview and I can't wait to see what they come out with next!